An Investment Banker, Chartered Accountant and Certified Internal Auditor with over a decadeÃ¢â‚¬â„¢s experience in Investment Asset Management, Accountancy and Audit. He is a graduate from the prestigious Business School, University of Ghana where he obtained a Bachelor of Science Degree in Business Administration Ã¢â‚¬â€ Accounting option. He is a fellow of the Association of Chartered Certified Accountants Ã¢â‚¬â€ UK (ACCA-UK), and the Institute of Chartered Accountants Ghana (ICAG). He is also a member and licensed Internal Auditor from the Institute of Internal Auditors (IIA) Ã¢â‚¬â€ USA as well as a Licensed Investment Representative by the Securities and Exchange Commission (SEC) of Ghana. His prior experiences include working with KPMG, an international accounting firm (Big 4), Fund Manager of CIDAN Investment Advisory Services Limited and Chief Executive Officer (CEO) of Verit Investment Advisory Services Limited. He has also worked as Licensed Investment AdviserÃ¢â‚¬â„¢s Representative at SEC. He is currently the Chief Executive Officer of Regal Alliance Investments Limited and a member of the Board. A Financial Manager and Accountant with several years of experience in Accounting, Financial Management and Banking. She holds Masters in Business Administration (MBA) from the University of Wales U.K. She is also a graduate from the prestigious Business School of the University of Ghana where she obtained Bachelor of Science Degree in Business Administration Ã¢â‚¬â€ Accounting option. 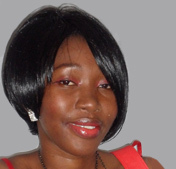 She is currently an affiliate member of the Chartered Institute of Management Accountants (CIMA) UK. Her prior experiences include Banking and Finance from Halifax Bank UK and Ghana Commercial Bank, Finance and Administrative Manager at Trade and Logistics Africa. She is currently the Executive Director of Regal Alliance Investments Limited and a member of the Board. 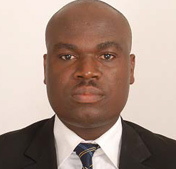 Mr. Kwasi Ameko-Amewunoo has over 10 years working experience in the banking sector and financial industry of Ghana. 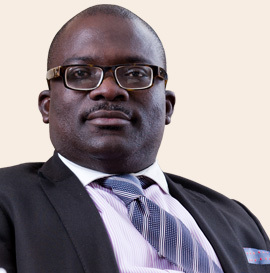 He began his investment banking career as an Investment Officer at HFC Investment Services Limited in 2004, where he later doubled as the Fund Manager of the Collective Investment Schemes under management of HFC Investment Services Limited. He was licensed as one of the Investment AdviserÃ¢â‚¬â„¢s Representative by the Securities and Exchange Commission for HFC Investment Services. Thereafter, he joined the United Bank for Africa (GH) Ltd in June 2007 as the Money Market Dealer in their Treasury Department and rose through the ranks and also through the various functions in the Dealing Room to become the Senior Dealer. He then moved to join the Oil & Gas Unit to help reinforce the team, where he worked as the team leader for the downstream team. He has gained enormous wealth of knowledge and experience over the years and his key strengths are in the areas of Investment Analysis & Fund Management, Treasury Management (Liquidity, Interest Rate and Foreign Exchange), Market Risk Management and Structured Trade Financing. Mr. Kwasi Ameko-Amewunoo is a Chartered Banker by profession and holds a BSc. (First Class Hons) Business Administration (Banking & Finance) Degree from the University of Ghana. He also holds a Masters Degree in Business Administration (Finance option) from the Ghana Institute of Management and Public Administration (GIMPA), Greenhill-Legon. He is also ACI Certified Ã¢â‚¬â€œ a member of the International Markets Association (ACI); an international requirement for working in a world-class Treasury. A Management Accountant with over a decade working experience in Accountancy and Education. He holds Bachelor of Arts Degree (First Class Honours) in Economics, Mathematics with Geography from the University of Ghana, Legon. He has MBA in Finance and Investment Management from the University of Wales UK. 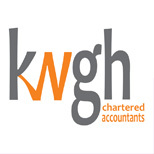 He is also a Chartered Management Accountant certified by the Chartered Institute of Management Accountants (CIMA) UK. He has worked with JRK Accountancy Services-UK and Colina Life Ghana Limited (Accounts Officer). He is also a tutor of CIMA courses. Currently, he is the Finance Manager at Morgan International Community School and a member of the Board. 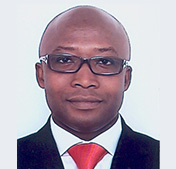 Charles has over twenty years experience implementing management and financial systems for companies in Ghana and UK. 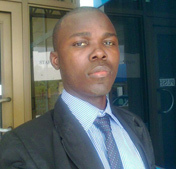 He is a product of the University of Derby (UK) and holds an MBA from Manchester business school (UK). He is a fellow of the Chartered Institute of Management Accountants (FCMA) UK and a member of the Institute of chartered Accountants (ICA) GH. Charles is also an alumina of Harvard University Executive Programme on Driving Government Performance. Mr Mensah is an ACCPAC Certified Consultant. © 2014 Regal Alliance Investments Ltd, rights reserved.